Life is full of paradoxes, and not all of them are intriguing. Some of them give a pleasant cozy feeling too. 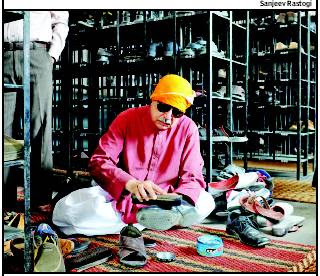 Recently (25 March, 2012) people saw the Pakistan’ Deputy Attorney General, Muhammad Khurshid Khan, Polishing the shoes of devotees in Gurudwara Rakab Ganj Delhi. This work is part of Seva (service) in Gurudwaras. This particular tradition is part of Sikh Gurudwaras. Kurdhid was doing this to atone the sins of Taliban’s that have tormented the Sikhs in many ways. He also was doing it to heal the wonds of minorities who have suffered the violence. Taliban’s had abducted three Sikhs, had demanded ransom and one of the Sikhs was killed. Khurshid felt the Taliban’s have done something inhuman, which is against Islam. Pained by this he started this mission of bring peace and amity amongst religious communities. One is sure there may be enough conservative, fanatic elements who will criticize this humane and touching gesture on the part of Khurshid. 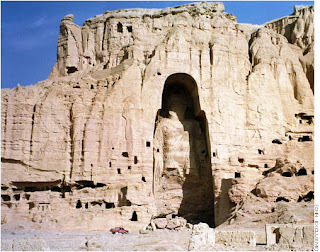 One knows that Taliban’s with their particular version of Islam, which got a boost in the indoctrination of Madrassasas set up in Pakistan by US to counter the Russian occupation of Afghanistan, is the extreme intolerant variety of Islam, something is against the basic tenets of that religion. Same Taliban’s had destroyed the Bamiyan Buddha statues, they had also imposed Jazia on Sikhs and had also come up to implement with the color code for dress for people according to their religion. South Asia has been in the grip of sectarian violence where minorities in each of these countries has been the major victim of politics in the name of religion, a politics which takes cover under the identity of religion and spreads hatred against the ‘others’ the one’s belonging to other religions. This politics also accentuates the divides amongst the followers of same religion as it also breaks them in to further narrow sects. Surely, while Christians and Hindus nave been a major victim of violence in Pakistan the smaller sects of Islam, Ahmadiays, Kadiyanis have also faced the wrath of dominant sections of society. In India during the rise of the communal violence during last three decades while Muslims and Christians, the religious minorities, have faced the major brunt of sectarian violence; at the same times dalits and Adivisis have also been a substantial victim of the violence. The politics in the name of religion operates on the foundation of identity of religion and undermines the moral values of that religion. It constructs a history where the Kings of a particular religion become the ‘icons’ of that religious community, while the kings belonging to other religion become the villains of the piece. The interactive culture of the communities is undermined in these narratives and the religious communities are made to stand against each other as the opposite parties. The reality is that the amity of people had been more along economic lines, the landlords on one side the laboring masses on the other. While the ‘clergy’ stood at the service of the affluent ruling class, the saints expressed the sigh of the oppressed sections of society. The Landlords–Kings allied and fought with each other for the sake of power and wealth while the laboring masses interacted with each other, rubbing shoulders while visiting the sufi dargahs, or paying respect to saints of the genre of Kabir, cutting across religions. The colonialists were more interested in plundering the South Asia, which as a continent came under British rule in the main. The British promoted the declining sections of landlords and Kings, recognizing them as ‘representative’ of their religious community. This laid the foundation of Communal politics, Muslim League on one side and Hindu Mahsabha and RSS on the other. These communal streams picked up the version of History, centered on the religion of the kings and tried to preserve their vested interests in the language of religion. This interpretation looks down on the syncretic traditions of people who found as much solace with the likes of Bule Shah or Nizamuddin Auliya as with Ramdev Baba Pir or Satya Pir as with Dadu, Raidas or Tukaram. The highest point of success of British policy of ‘divide and rule’ was the partition of the country or rather carving out of Pakistan in the name of religion, while the remaining part upheld the values of freedom movement to come up as a secular democratic nation. Overall, the major culture and traditions of South Asia, India-Pakistan-Bangla Desh are mixed one’s the syncretism of their religious tradition being its high point. During last three decades the sectarianism has surged due to many a local factors which have been further boosted by the rise of Global Emperor, US, who devised the religious language, demonized Islam to quench its hunger for oil. The result has been the wounds of partition, the wounds of communal strife of the past which were slightly cooling down have been exacerbated and the communal forces have become stronger in all the South Asian Countries. These communal forces have at one level similar value, opposition to democracy and abolition of human rights of weaker sections of society. At surface they present it as a battle against the ‘other religious community’. In this dismal scenario, it is people like Khurshid who are braving it out and despite the sure opposition from fundamentalist forces are keeping the torch of amity alive. While Talibans, Zia Ul Haque and RSS type formations have been on rampage, the forces like those presented by Khurshid are also silently singing the songs of peace. The efforts in this direction have been slowly but surely percolating and trying to appeal to the humane aspects of community living. These elements know that while at one level the victim groups have to get their rights by their struggle against injustices, they also know that the progress of society is possible only by overcoming the sectarian divides which try to trample our democratic values. Democratic ethos are the base on which the struggle for human rights and better society is possible in the short and long run. All the efforts which bring communities together for interaction, celebration are building the bridges which not only will overcome the sectarianism but with lay the foundations on which peace with justice will be possible. Three Cheers for the likes of Muhammad Khurshid Khan!